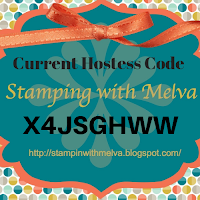 I'm heading to Stampin' Up! 's OnStage Local event in Vancouver on Saturday and I wanted to share the swap card I've made for our Team swap. I'm part of Alison Solven's Canada Inks Up! Team with demonstrators from across Canada. I think there will be over 50 team members in Vancouver on Saturday - it will be so much fun to catch up with them and to meet many of them for the first time. There are 600+ attendees registered for the Vancouver event. At the same time, local events are going on around the world along with the main OnStage event in Auckland, New Zealand! Here's my swap card that I've made to swap with the Canada Inks Up! team. 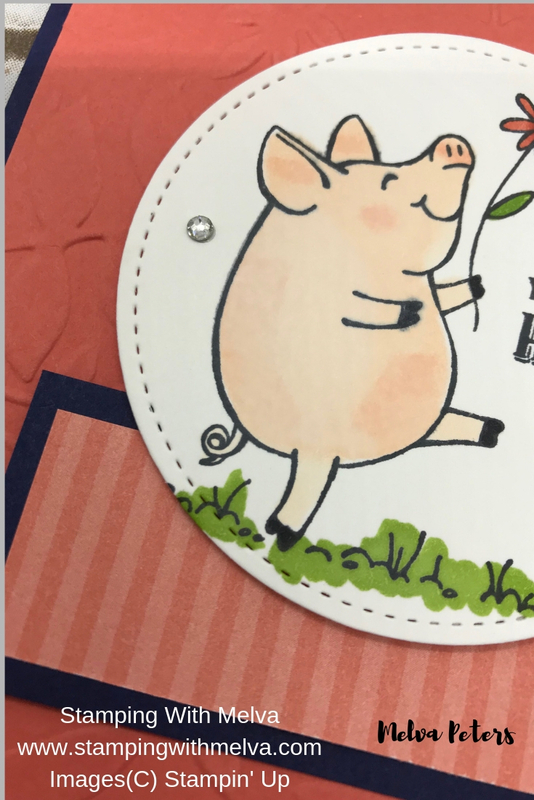 My card features the This Little Piggy stamp set from the 2018-2019 Annual Catalogue and a colour combinations of Night of Navy and Calypso Coral. Isn't it pretty! Cut Night of Navy cardstock (4 1/4" x 11") and score in half to form card base. Cut a piece of Designer Series Paper (3" x 1") and adhere to a piece of Calypso Coral cardstock (3 1/4" x 1 1/4"). 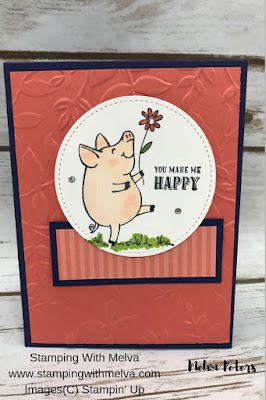 Adhere embossed cardstock to card base using Snail. 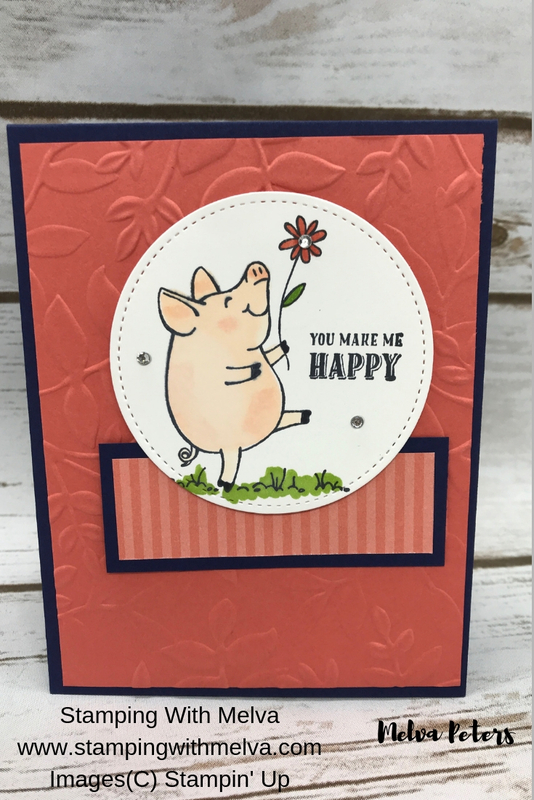 Adhere Designer Series Paper piece to card base using Snail. 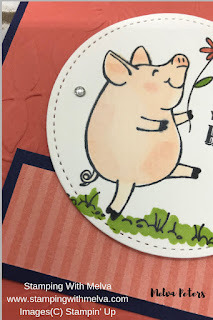 Over the years there have been many issues with the blades for the Stampin' Trimmer. 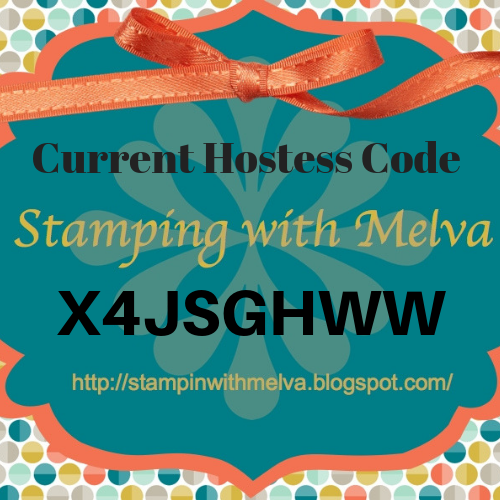 As a result, Stampin' Up! will no longer be selling the current one. They are working on a better paper trimming machine but it will take a bit longer than they thought to get it to market. This means there will not be a paper trimmer in the upcoming Annual Catalogue. They will be carrying the spare blades (in packages of 3) until the end of September (or while supplies last). If you need some blades for your trimmer, please consider ordering some sooner rather than later. You can order up to 6 packages at a time starting April 15th.